I rang up Eircom support earlier this week to tell them that when I finally got switched over to their new service that I wanted to be put on the higher “Unlimited” ( in reality it is a 250gb limit, fair usage, which is still great) package, they then informed me that it was already available and I had indeed already been switched over to the NGB. Luckily I rang up to get my package switched then, otherwise I would of been paying through the nose for my broadband! After I got off the phone I went online to see when exactly the Dundalk exchange had been switched over and it was upgraded on September 30th and October 1st. 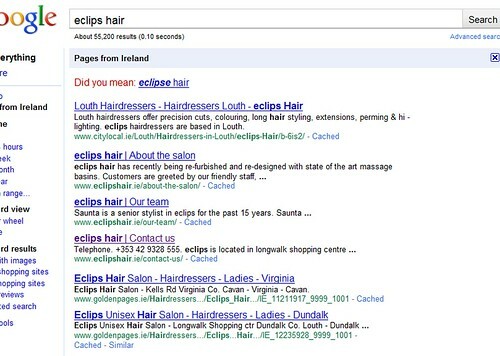 I actually do remember the internet disconnecting at midnight on September 30th because that was the day I was launching the eclips hair salon website and of all times for the site to go down it was when I was putting a site up online! The Eircom site states that there would of been a disruption for about and an hour so it is my fault for not realizing that! Eircom have a list of set dates when they are upgrading their exchange points on their website so you can check it there, if you were wondering! I was also told that since my line cannot support more than 3mb of speed that I will not be able to take full advantage of NGB, however what I do benefit from is the consistency of my broadband speed now. Even though I only have 3mb, it would be very rare I would see anything over 2mb, usually I would get 1.5 on average, sometime worse, the best speed was always in the early hours of the morning. Now however with NGB the contention ratio is gone so no more line sharing apparently, I have noticed the difference, I now get a solid 2.75mb at all times including peak times such as 1pm to 2pm and 6pm to 7pm! 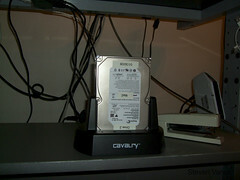 It’s great, I only wish I could get the full 8mb, maybe Eircom will pull the finger out and sort that one out! When I was on the Eircom site checking out the exchange upgrade dates I noticed there is a download usage meter that you can get for your computer which show how much traffic you have used for the month, extremely handy if you are on one of the lower NGB packages, but for me on the unlimited bundle, it is just a novelty and some extra statistics for me! Last Thursday (October 30th) a website which I have been working on, for what would seem like a long time was finally launched live! I had actually completed the entire site except for one page, ‘Our Team’, by the beginning of the summer, but I couldn’t put it live because I was waiting for photographs of the staff. Finally last Monday I got all the photographs and I was able to complete the site and put it live. 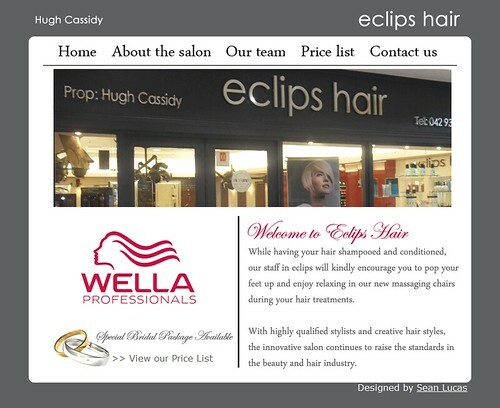 So the site I was working on was for a local hair salon, eclips hair, and I created the entire site from scratch. This website was my first ever wordpress platform based design for a client. I designed the site in Photoshop, then I coded and styled it using Dreamweaver in basic html and css. Once I had the template coded I then began to port it over to wordpress, this was actually not too difficult, it was a lot simpler than I thought it would have been. There was a few things that broke when I brought it over to the wordpress platform, such as a few styles, but I managed to get it sorted, thanks to a Firefox plugin called firebug. I also set up custom email addresses (hosted by Google for domains) for the website, by custom I mean it would be in the format of [email protected], so for eclips hair I could make one that looked much more professional than there old yahoo account address! So from design to coding I done it all, now all that remains is SEO, that takes time, and another reason I chose the wordpress platform was because it has such good SEO power. Already the site is at the top of Google, one site is above it, however it is linking to the eclips hair website so that’s ok, for now! I reckon with a bit more time, it will be above all the other competition. I still have to get the keywords for the likes of ‘hair salon’ and ‘hair stylist’ into the site to try and get it into those search results. The site also has a CMS (content management system) which makes it really easy to just log in and make a quick change if need be such as changing pictures or adding in special offers. I definitely recommend using wordpress for building a site because you also have the huge plugin directory available to you from wordpress.com. So reflecting on this website, I am really happy with how it came out. I think next time I update the site, I will be able to do so much more as this has been a learning curve for me since it was wordpress based. 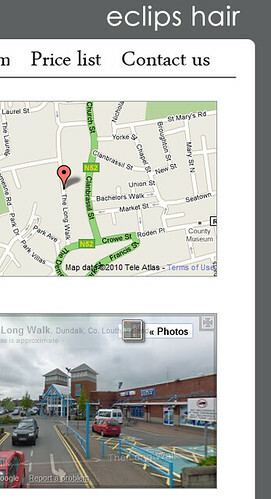 So if you want to have a look at the site, then the address is www.eclipshair.ie. Today we had a guest speaker in one of our classes as part of a seminar series where a few guest speakers will come in and talk to us about their job and allow us to ask them any questions, from how they do certain things or how you can get to where they are, anything! Today’s guest speaker was Dr. Vivienne Mee, she currently works for Deloitte where she specializes in computer forensics. Vivienne used to attend DKiT so there is some hope for us that we too can get a great job, providing we really work for it once we finish up this degree! Vivienne told us all about her educational background from DKiT where she graduated with a BSc in Software Development and where she studied Computer Forensics in Glamorgan University in Wales. I won’t go into everything she told us about, but I found it extremely interesting. When I came home from college after the seminar I had a look at the course on computer forensics and I was amazed to see that it’s not actually too difficult to get into! If you are an international student, which if you are from Ireland, you are, then they assess your results from college and school and make their decision if they will accept you or not. The course is 3 years in total, it’s expensive, and I would say it is an intense 3 years, however a great job would be waiting for you when you are finished. It gives me something to maybe think about, maybe I will go into that area, maybe not or maybe something along those lines, it is great to see different options that are available after I finish my current degree. So from this seminar we are expected to write up a report and then submit it, should be fairly straight forward, plenty of notes were taken!